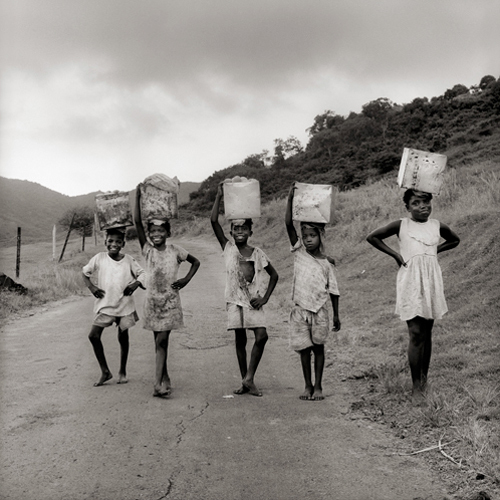 Scott Nichols Gallery and Nazraeli Press present Antigua 1967-73 by Margo Davis. Margo began photographing in her early twenties. Her first photographs were of family, friends, and people she encountered in her native New England. Although she experiments with many forms of photography, Davis always finds herself drawn to “the landscape of the face” and all the feeling and life that her skilled eye can evoke from the people she photographs. 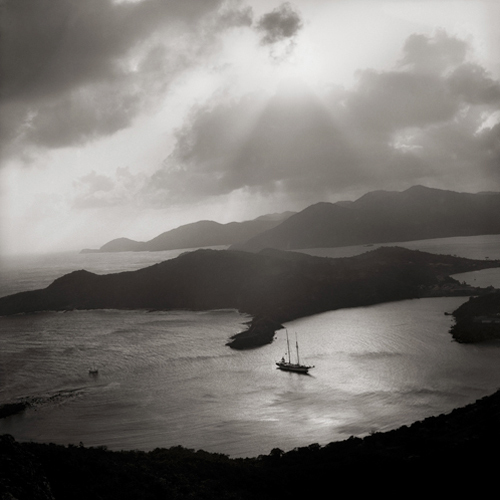 Among her many travels she photographed the island people of Antigua. The economy of all the Caribbean islands was determined by the transatlantic slave trade from the 15th to 19th centuries. From Cuba to Trinidad, rural island villages were homes to the stalwart African slaves who worked the sugar cane and cotton fields. Antigua, which is situated exactly at the elbow of the Caribbean island arc, is a microcosm of this history. When Margo Davis visited Antigua for the first time in July of 1967, she was struck by the faces of these villagers, and it is here that her passion for portraiture began. When the Antiguan photographs were made, very little had changed from earlier colonial times. These stunning images have now become iconic. It is for this reason that Nazraeli Press is presenting this exquisite new monograph focusing on the people and culture of African heritage in the New World. 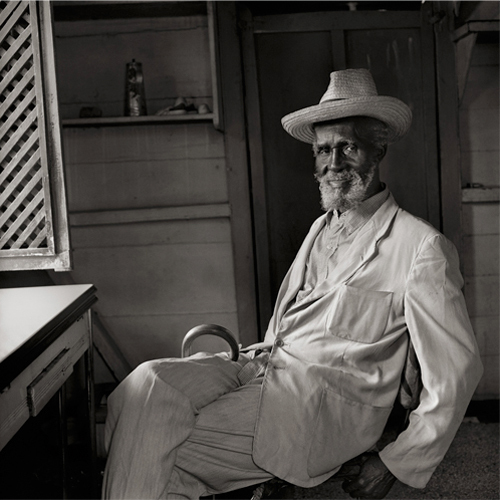 Antigua: Photographs 1967–1973 is an ambitious work, beautifully printed in duotone on matt art paper in an edition of 1000 copies. Margo Davis’s work is in many private collections and the permanent collections of the Brooklyn Museum, New York, the Bibliothèque Nationale de France, the Cantor Center for the Visual Arts at Stanford University and the Sack Photographic Trust destined for San Francisco Museum of Modern Art. for an Artist Reception and Book Signing with photographer Brad Temkin. 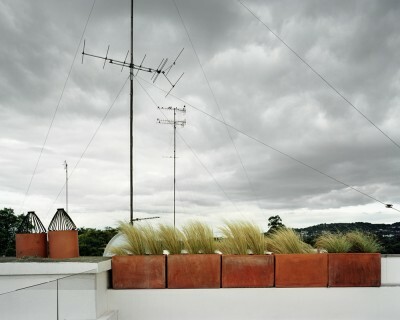 Temkin’s new book “Rooftops” will be available for purchase. 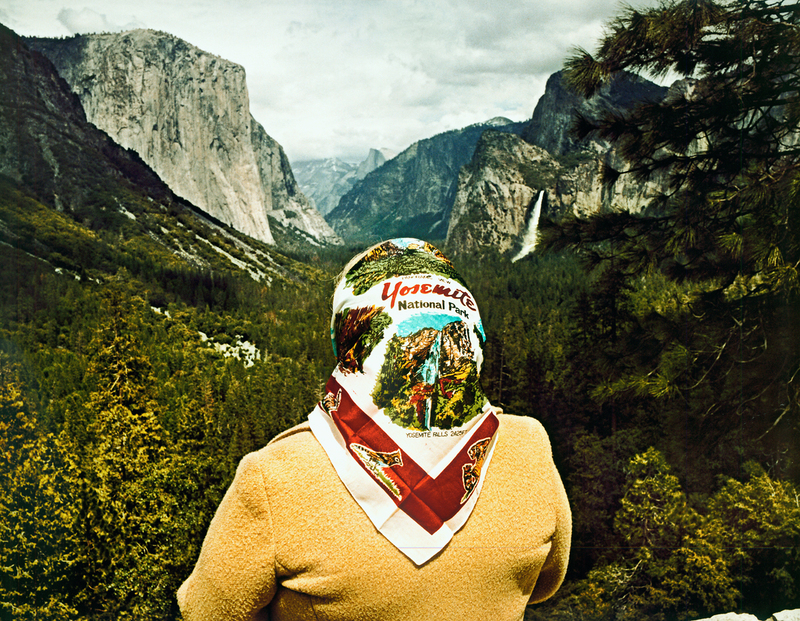 What: The Reva & David Logan Gallery of Documentary Photography at the UC Berkeley Graduate School of Journalism will host a reception for the exhibition See All About It, Vivian Maier’s Newspaper Portraits. A lecture will follow including; Jeffrey Goldstein, director of Vivian Maier Prints (VMP) and project coordinator Anne Zakaras; VMP master printers Ron Gordon and Sandra Steinbrecher; and Richard Cahan and Michael Williams, authors of the book on Maier’s life and work, Vivian Maier, Out of the Shadows. What: SF Camerawork and the Scott Nichols Gallery will co-host a reception, viewing of the (53 minute) BBC film “The Vivian Maier Mystery,” and talk. The Q & A format talk will feature Jeffrey Goldstein, director of Vivian Maier Prints (VMP) and project coordinator Anne Zakaras; VMP master printers Ron Gordon and Sandra Steinbrecher; and Richard Cahan and Michael Williams, authors of the book on Maier’s life and work, Vivian Maier, Out of the Shadows. Where: SF Camerawork, 1011 Market St. San Francisco, CA 94103. Click here for a Google Maps link. 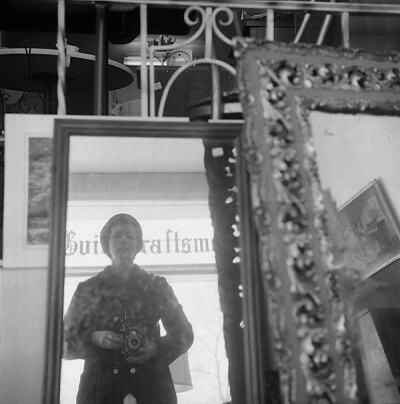 What: Scott Nichols Gallery will host a reception and curatorial walk-through of its current exhibition Vivian Maier, Out of the Shadows. Join Scott Nichols; Jeffrey Goldstein, director of Vivian Maier Prints (VMP) and project coordinator Anne Zakaras; VMP master printers Ron Gordon and Sandra Steinbrecher; and Richard Cahan and Michael Williams, authors of the book on Maier’s life and work, Vivian Maier, Out of the Shadows for a walk through and discussion of the exhibition. Snacks and beverages will be served. Where: Scott Nichols Gallery, 49 Geary St. suite 415, San Francisco, CA 94108. Click here for a Google Maps link. 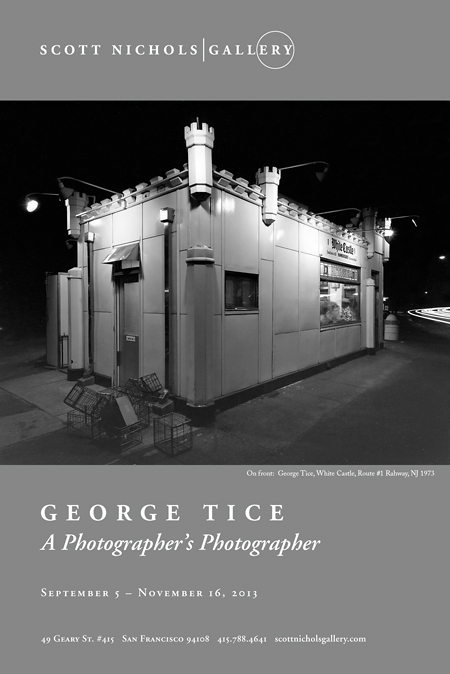 Our upcoming exhibition: George Tice, A Photographer’s Photographer. The show is a sixty year retrospective and celebration of his 75th birthday. George will be at the Scott Nichols Gallery on the 26th of September for the opening reception of his show and will be speaking at the U.C. 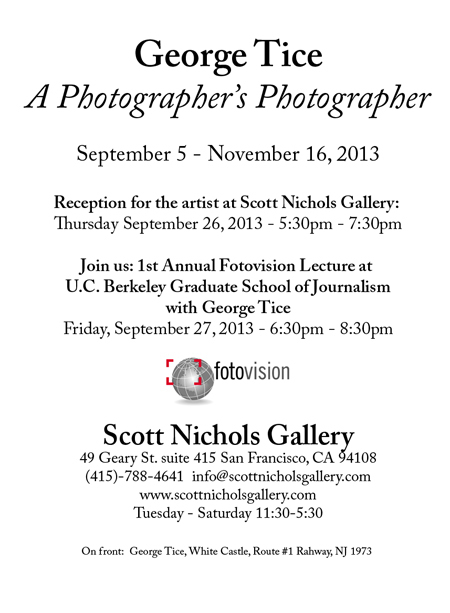 Berkeley Graduate School of Journalism the following day for the 1st annual Fotovision lecture. We’ve been anticipating this show for awhile and hope you can make it. August, 31 2012: THE SUMMER SHOW was reviewed by Jonas Cuénin in Le Journal de la Photographie. From this collection dating back to 1863, we appreciate in particular the many black and white photographs. Architectural shots, landscapes, street scenes, portrait: there’s something here for everyone… Read the entire review, San Francisco: The Summer Show, HERE.